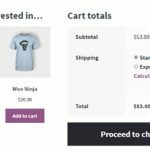 In order to launch an inexpensive global network of sites run by volunteers that would provide shoppers categorized directories to local stores, I needed to leverage the power of WordPress with some unusual customizations and workarounds. 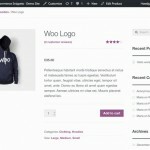 There are a number of approaches to providing local experiences with WordPress. In this tutorial, I’m going to show you why and how we decided to make a customized solution. But to grow the site, we needed to offer geolocal versions for individual cities. Certainly the global site helps visitors cancel their prime memberships or find alternatives to Kindle books but there was nothing to encourage people to support small businesses in their communities. To begin, we’d build a guide for local shoppers in nearby Portland, a city with a proud heritage of quirky, independent small businesses. Credit: Forest and Waves Portland Map by Edward Juan. Certainly, I’ve written enough about quickly launching a plethora of WordPress websites using pre-configured, pre-optimized recipes, but maintaining related requirements for a network can be extremely time-consuming—things like managing SEO, WordPress and plugin upgrades, etc. I also considered WordPress Multisite but even though I know she’s grown a lot, we had a number of awkward difficult pairings and were probably never meant to be together. Once you get involved with “her”, it’s very hard to break up. I needed a simpler solution. 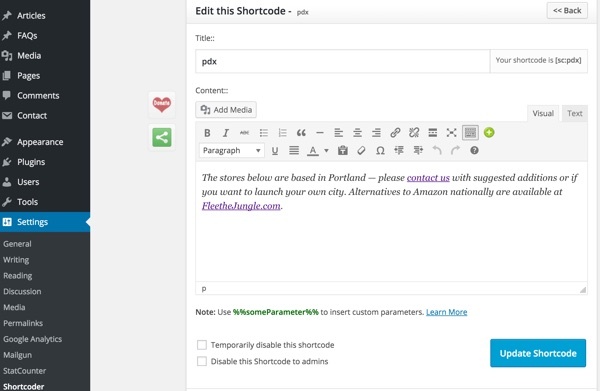 In this tutorial, I’ll guide you through customizations and tricks I used with WordPress and my knowledge base theme to launch our Portland shopping guide and make it easy to launch any number of other cities—while avoiding the overhead of managing dozens or hundreds of sites. 1. Maintain a worldwide site. I wanted to keep the global, fleethejungle.com primary domain intact, free of local articles but instead a guide to our available cities. 2. Localize by sub-domain. I wanted content localized by sub-domain. 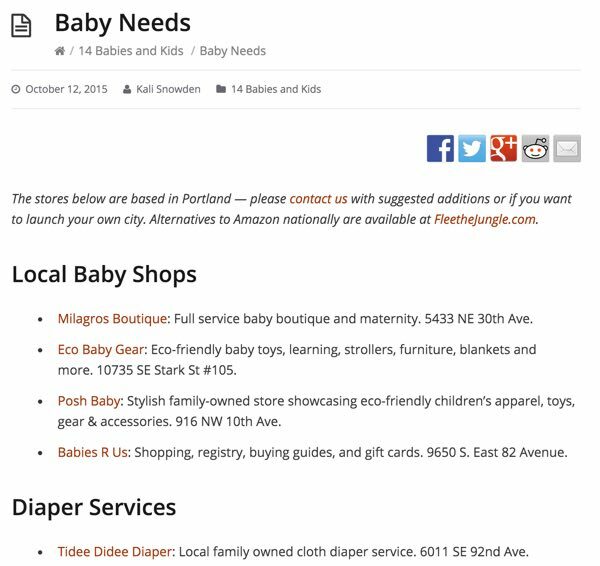 For example, a visit to http://portland.fleethejungle.com would promote local content on the site while re-using some specific national site categories related to shopping on the broader Internet, e.g. video streaming (there’s no Portland-based alternative to HBO Now). CraigsList provides a good model for this. 3. Integration between local and worldwide. I wanted to provide local visitors an explanation of the differences between their local site and the global site while encouraging them to participate in helping improve the listings in their city. 4. Volunteer-managed. I wanted to make it easy to regularly add cities to the site in a way that would only require volunteers with basic blogging skills to launch and maintain. There are too many requirements to launching new WordPress sites for each individual city to easily do this with volunteers. 5. Minimal maintenance. Finally, I wanted to keep the maintenance of the site network as simple as running a single site. Let’s explore some of the technical approaches that are often used to address these kinds of requirements. 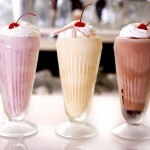 Run different installations of WordPress. Use WordPress Multisite to run various sites. Customize WordPress to dynamically filter content for geography. 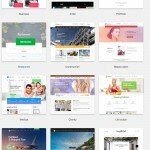 As I said earlier, I’m not a fan of Multisite and I wanted to avoid the complexity of launching and maintaining a variety of WordPress sites. A site like Flee the Jungle would have so much central content that would need to be re-used across city pages (such as how to terminate your Prime membership), and I didn’t want to have to maintain this content across different WordPress installations—or write code to do so. I decided to filter the content depending on the domain or subdomain used by the visitor in the browser. If you’ve read my tutorial How to Use Zillow Neighborhood Maps and HTML5 Geolocation, you know how to use HTML5 browser-based geolocation for determining where a user is. However, I wanted the user to have more control. 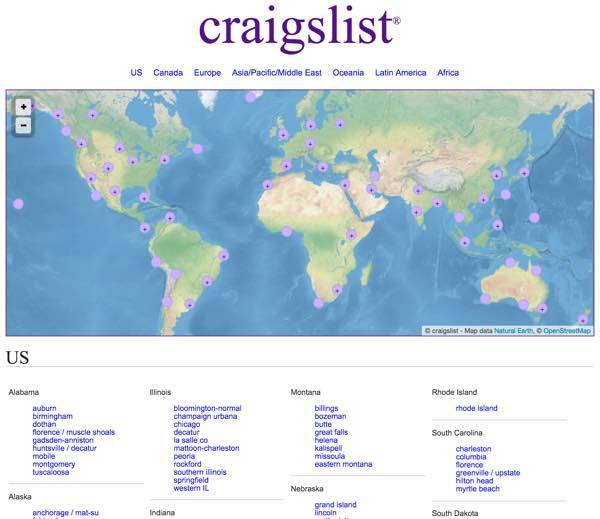 I wanted the user to use a sub-domain like the one that’s worked for years with CraigsList to guide them to their city. But WordPress’s dominion over absolute URLs makes this difficult. When I first began experimenting with tracking the inbound sub-domain for a city and mapping it to links on the page, I ran into WordPress’s habit of creating absolute links nearly everywhere. A colleague I spoke to about it laughed immediately when I asked him about it—it’s a common foe of WordPress developers. 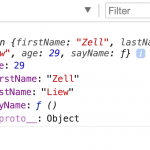 In this tutorial, I’ll share the customizations within our theme’s PHP-based queries to build our city-based sites and how we ultimately worked around the absolute URL problem. Here’s how I decided to implement city-based sites for Flee the Jungle that could be easily maintained and authored by local bloggers without additional technical skills. Articles written for cities would be tagged by city name, e.g. “portland”. Articles for the global site would be tagged “worldwide”. I wanted the ability to include worldwide articles about Internet-based stores for some categories where there was less effective local support such as video streaming. Other categories are certainly appropriate to focus exclusively on local stores such as Groceries, Auto Stores and Toy Stores. For geolocal sites, we keep the worldwide categories in place and only show different articles for the locally appropriate categories. In the future, we’ll append worldwide articles to the local choices within a category when appropriate. When visitors view category pages and search, we also filter and customize the results based on these design choices. // e.g. Getting Started, Prime and Smile Alternatives, Streaming Media, etc. To obtain the domain or sub-domain, I used Trevor Scott’s WordPress tip and placed it within my theme’s functions.php. When the domain is global, $domain_locale will be false. Under these circumstances, I will exclude articles tagged locally by cities. And I will do this on the home page and the category page. When the domain refers to a local city, $domain_locale will represent the prefix, e.g. seattle or portland. With the KnowHow theme, visitors may also click on the category headings, taking them to an article list within the category. If they are on the global site, I want to show only global articles. I chose to tag all global articles as ‘worldwide’ to facilitate this. So for the global site, I show only articles tagged ‘worldwide’ and for local city sites, I show only articles tagged for that city. If the category is an exceptional case for both, we include articles from both the current city and worldwide. I’m not customizing the query here because performance is currently not a major issue. I’m just skipping results out of context and not displaying them. In the future, I may customize this further for city sites by displaying worldwide results at the bottom of the category page in a distinct section. 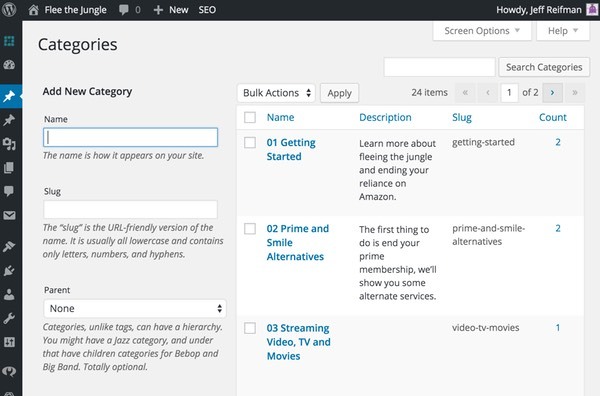 It’s also important to perform these sorts of customizations for search. The KnowHow theme provides an AJAX search result or a generated page of results. We need to provide code to customize each option. As I mentioned above for Categories, I may decide to customize search results to display a second section of results for global articles on city sites. To provide local visitors an explanation of the differences between their local site and the global site while encouraging them to participate in helping improve the listings in their city, I used a plugin I wrote about in January 2015 for Envato Tuts+: The Benefits of Using the Free Shortcoder Plugin. It’s a plugin that lets you use macros essentially to expand re-usable HTML content in place. For each city article, we’re using it to customize what local visitors see when they arrive from Portland. I’m a long-time user of Digital Ocean but I’m becoming a more enthusiastic fan of WP Engine as well; well-managed hosting provides advantages in some circumstances. It turned out WP Engine offered a solution to the WordPress absolute URL problem which was better than alternatives. Prior to configuring this, visits to Portland Flee the Jungle sub-domain had outbound links to the global fleethejungle.com scattered across pages. After configuring it, outbound links remained consistent with the inbound domain or sub-domain. Essentially, I used the post-processing filter to eliminate absolute URLs and allow the browser’s URL and relative addresses to drive navigation. To provide a directory of the cities where Flee the Jungle is and would become available, I built a page listing cities where global users could jump into. I also use it to attract volunteers to launch sites for their cities. Of course, I wanted to implement basic customization of the logo depending on the sub-domain. The KnowHow theme doesn’t support this natively. If you notice in the final configure_geolocal() code, I set a media library URL for the logos for each city. WP Engine’s domain mapping can be a bit confusing for the uninitiated. You have to add domains for your site and map them to WP Engine’s internal addressing system. If you want sub-domains to operate properly, you have to individually configure each sub-domain from within the WP Engine domains dashboard. Unfortunately, cities that you don’t explicitly add redirect to a 404 error at WP Engine. There are other ways to work around this, but for the moment, I’m just adding larger cities to the configuration there. People will generally be directed to the global home page or a pre-existing city—from there, they can volunteer to start their own city. Google’s internal search engine optimization is well known for being quite secret, yet much of the referral traffic your site receives depends on it. Some of our content will appear across multiple domains, but much of it will be distinct depending on which city we’re browsing. Google doesn’t like seeing the same content on multiple sites, but it’s also good at indexing sub-domains separately. Frankly, I have no idea how the Flee the Jungle geolocal network model will be received and ranked within its great supercomputing megaplex. This is a lower priority for me at the moment. The foundation of Flee the Jungle’s traffic is grassroots support and social sharing. Certainly, there are a number of ways I could have approached the challenge of creating geolocal sites. However, Flee the Jungle remains a volunteer effort—I needed a solution that would be simple and fast while making it easy to add cities, leveraging bloggers as volunteers. The approach I’ve described has accomplished these goals quickly. The result of all this customization is that we have a single WordPress installation that can run hundreds of geo-local variations of our site, with worldwide and local content appropriately filtered and organized. Most importantly, volunteers can build and launch cities with only the basic skills of a WordPress blogger. This is so much simpler and faster than my “friend” WordPress multisite or running separate installations. The future is relatively unbounded. I hope you’ve enjoyed this tutorial and would enjoy hearing how you might have approached this challenge. If you’d like to launch a shopping guide for your own city, contact us. 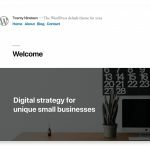 If you’re intrigued about building a site like this, I’ve written a detailed, step by step tutorial for building your own knowledge base website on WordPress. Let’s say you want to launch your own Harry Potter fan site—it’s an easy guide to getting started. 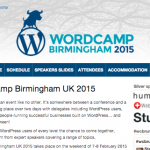 How Welcoming are WordCamps to Women? 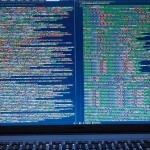 Is WordPress Ready for the New EU Privacy Rules?